If any city deserves the title of a shopaholic’s paradise then Bangkok must surely wear the crown. From mega designer malls selling the latest haute couture to pavement stalls offering everything under the sun the choice of places to spend your hard-earned cash is almost endless. 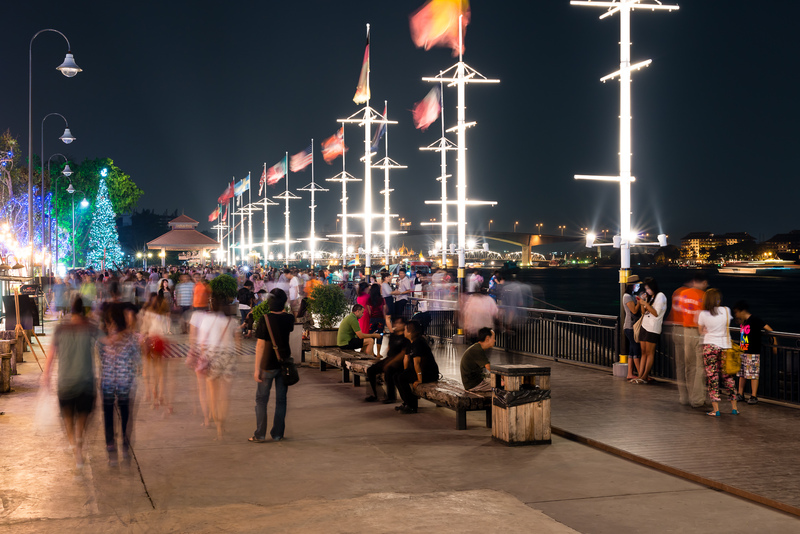 One of the most popular shopping places in Bangkok just has to be Asiatique The Riverfront, a massive night bazaar located right beside the Chao Phraya River. Opening in 2012 on the former warehouse site of the Danish-owned East Asiatic Trading Company on Charoenkrung Road the expansive grounds operate every evening come rain or shine, drawing both locals and tourists alike for an exhilarating experience in the capital’s very best dining and shopping opportunities. Asiatique is divided into 4 uniquely themed districts, and apart from the impressive number of over 1,500 fashion, accessories and jewellery boutiques with both classic and contemporary styles to suit all tastes and budgets offers a worldwide gastronomical tour from any one of 40 restaurants. If visitors need to take a break from all that browsing and binging there’s also the family-friendly Calypso Cabaret show featuring a plethora of flamboyantly-attired “ladies”, exciting Muay Thai bouts and even a giant Ferris wheel for a unique view of the Chao Phraya by night. Getting to Asiatique is simplicity personified as it’s a mere 15-minute stroll from Chatrium Hotel Riverside Bangkok, or a great way to travel is by the ubiquitous tuk-tuk, an experience in itself as you zoom al fresco through the city’s packed streets dodging the cars, bikes, trucks and buses with seemingly superhero skill and dexterity. 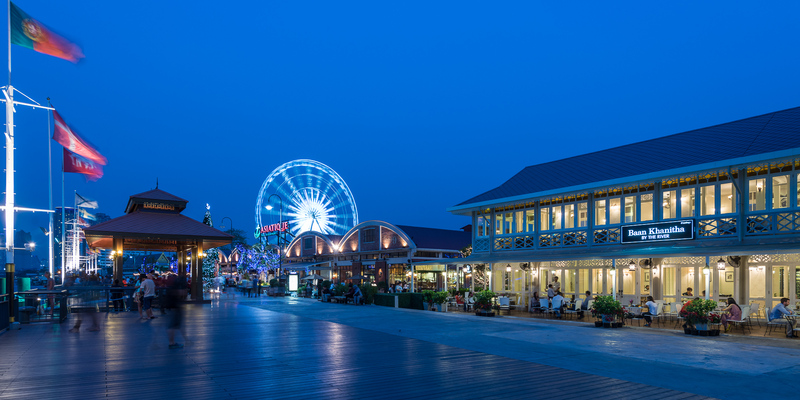 Asiatique The Riverfront is located at 2194 Charoenkrung Road, Wat Phrayakrai District, Bangkholame, Bangkok 10120 and is open from 5 p.m. until midnight.